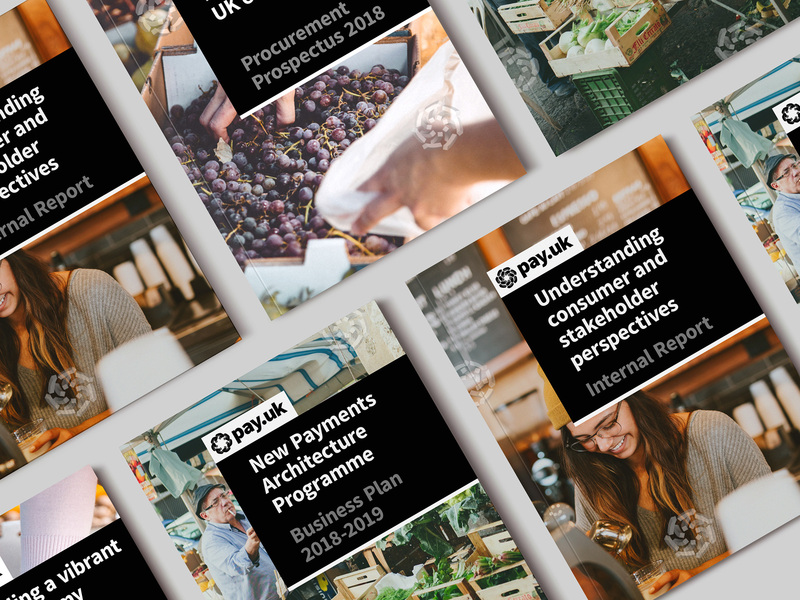 Established in 2017 as New Payment System Operator (“NPSO”), the newly renamed Pay.UK is the UK’s leading retail payments service provider that allows individuals and businesses to, among other things, get their salaries, pay their bills, and make online and mobile banking payments. In 2017, £6.7 trillion moved through their system, enabling £17.5 billion in payments every single day. Pay.UK is sort of the new parent brand of pre-existing payment services like Bacs Direct Credit, Direct Debit, Faster Payments, cheques and Paym. 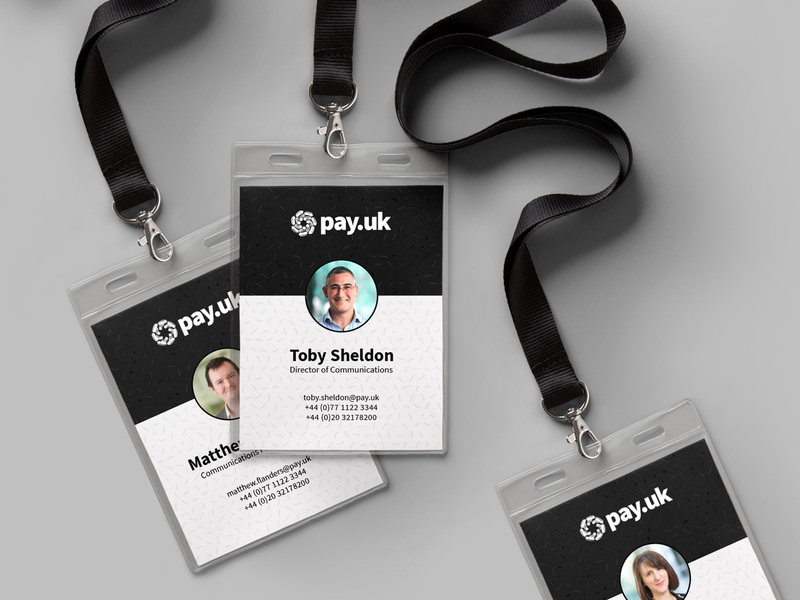 This past October, Pay.UK introduced its new identity, designed by London, UK-based SomeOne, who also conceived the name. The feedback we got from stakeholder research was that a new name had to be ‘short and snappy’, and ‘literally describe what we do’.With this in mind we renamed the organisation Pay.UK in recognition of its essential national service and digital future. The identity itself had not only to be solid and simple, but also be contemporary enough to attract new fintechs entering the UK market. We wanted to get across the idea that Pay.UK was constantly ‘in motion’ and not rigid as an institution. 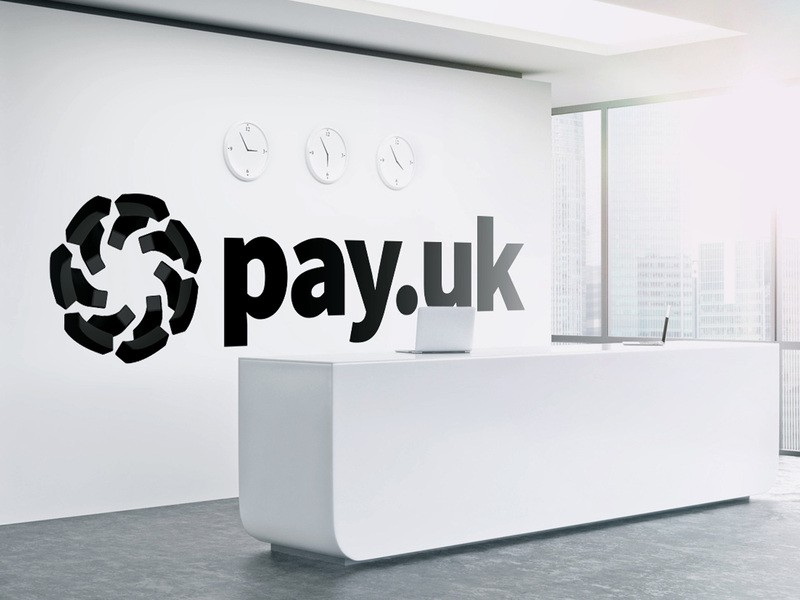 To go with the new name, SomeOne created a continuously moving brand mark representing the organisation’s ‘gears in motion’ and desire to be the ‘beating heart’ of UK payments. When seen statically, the mark should never be the same, reflecting the unique payment patterns of every UK individual. 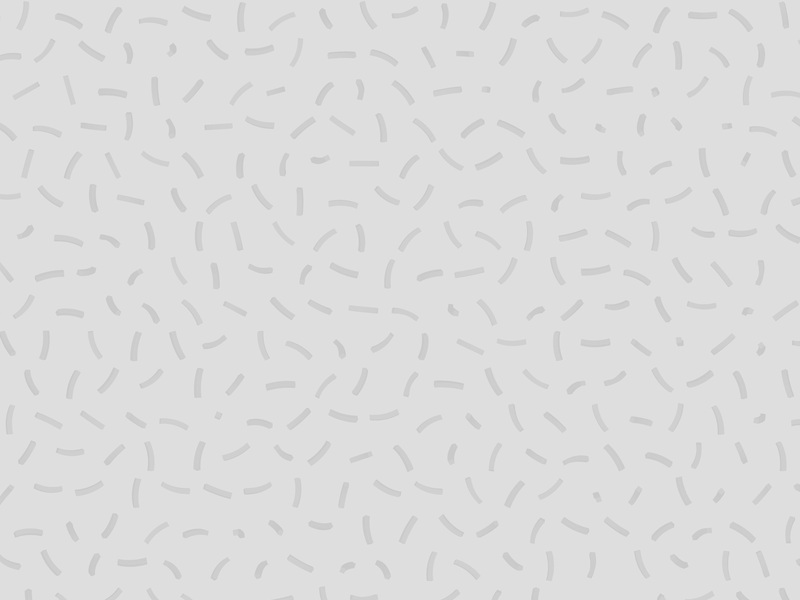 For this to be truly dynamic, the digital team at SomeOne developed a generative logo creator - an application where anyone could create their own version of the Pay.UK symbol. The old name sounded more like a category than an organization’s name — “New Payment System Operator” sounded more like “Telecommunications Service Provider” than “AT&T”. Pay.UK is so unbelievably simple it’s a surprise they were able to take it. To a certain degree it almost sounds like a government agency and I don’t know if that’s a little misleading in giving the organization more apparent power than it has or than it should have. Anyway: good name, yo. The old logo didn’t help the name much, looking like a Nutrition Fact line item. The new logo is… different. As I’m trying to write this paragraph, I find myself starting and stopping on trying to assess the icon. One part of me appreciates how different it is — in either static or animated form — and trying to create almost a new category of icon. Another part of me finds it, particularly in motion, pretty disturbing. It’s like the inside of the mouth of a villain’s robot mascot that eats things. The individual shapes of the icon are not pleasant either. It’s really weird. I’m very much looking forward to reading the comments because I’m so unsure on this one. The wordmark is actually nice, especially given that it’s a font straight out of the box. In its simplicity it helps ground the icon and the size relationship in the lock-up makes the name the most visible element. The word mark and brand’s typography all use Source Sans, Adobe’s first open source typeface family, primarily designed for user interfaces. As part of the brand world, this sits alongside a no-nonsense black and white colour palette and colour photography depicting the ‘real life’ end users - people across the UK benefitting from fast, secure payments. 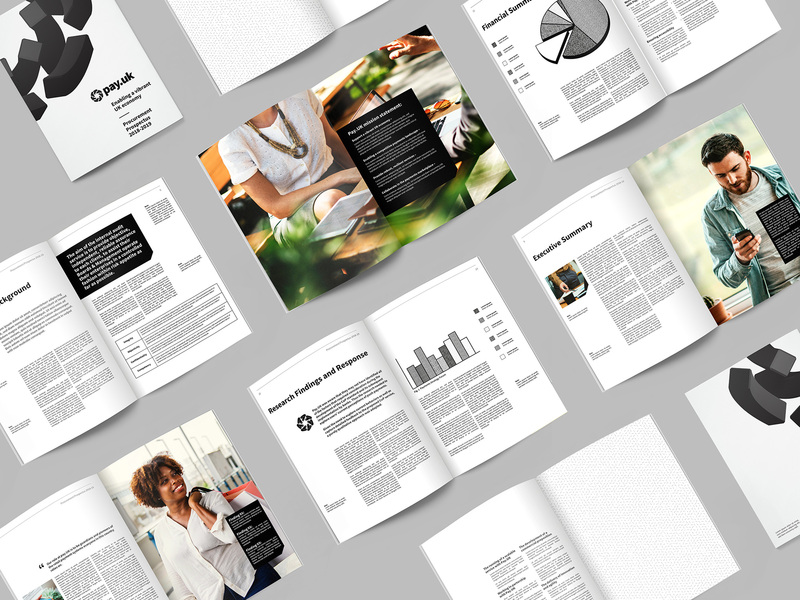 The booklet covers achieve a very interesting, almost United-Nations-like look, that makes the identity feel very authoritative but, as paired with the customer photography, also accessible. 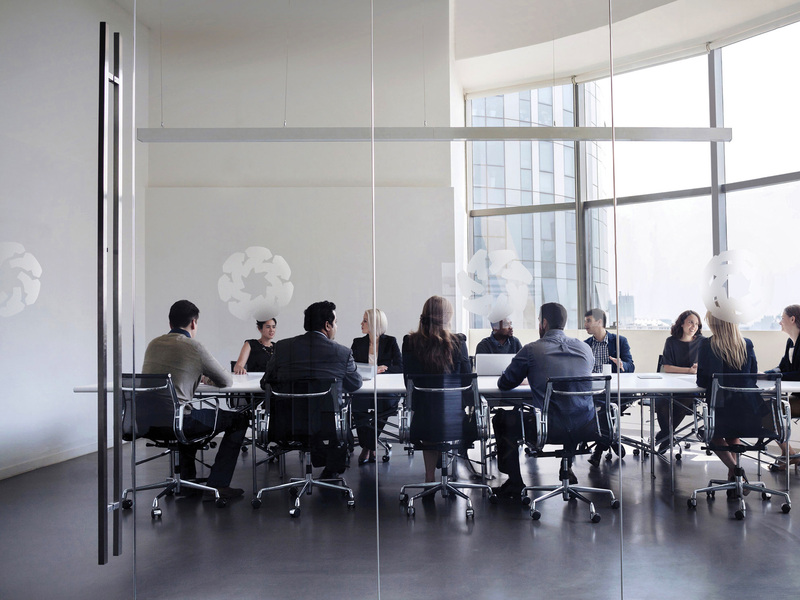 Conference room. Spoiler: Icon does not work in single color. Overall, there is a confusing sense of what the exact positioning of this is: is it a government agency? 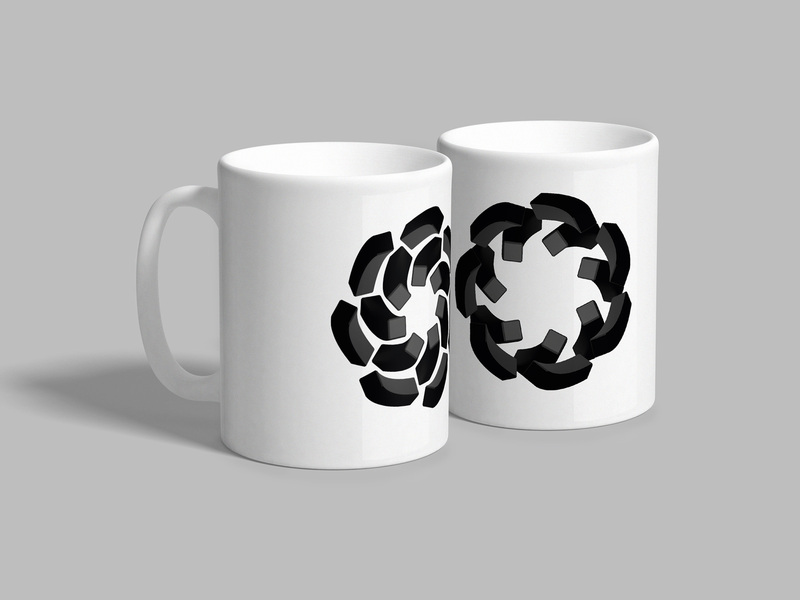 A business-to-business corporate brand? A direct-to-consumer retail brand? Am I supposed to fear it like the IRS or embrace it like Shopify? Sorry, more questions than answers today. 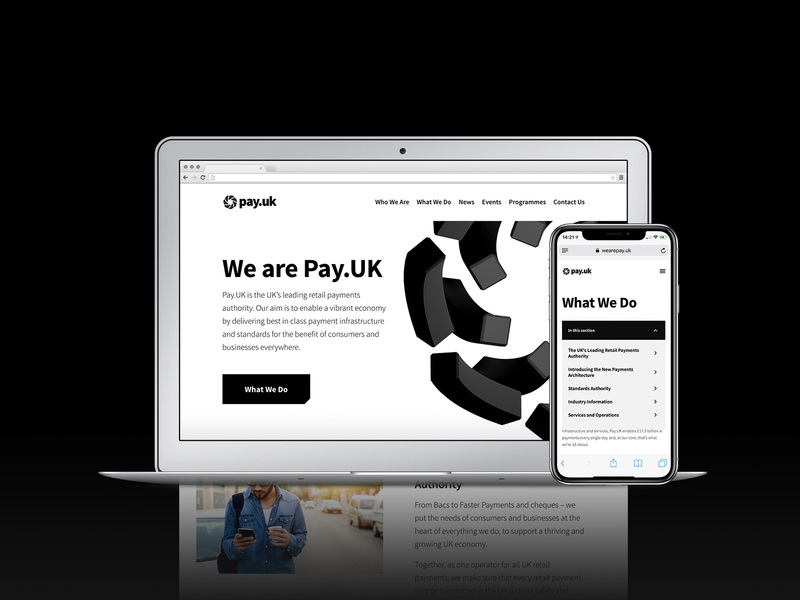 Established in 2017 as New Payment System Operator (\"NPSO\"), the newly renamed Pay.UK is the UK's leading retail payments service provider that allows individuals and businesses to, among other things, get their salaries, pay their bills, and make online and mobile banking payments. In 2017, £6.7 trillion moved through their system, enabling £17.5 billion in payments every single day. Pay.UK is sort of the new parent brand of pre-existing payment services like Bacs Direct Credit, Direct Debit, Faster Payments, cheques and Paym. 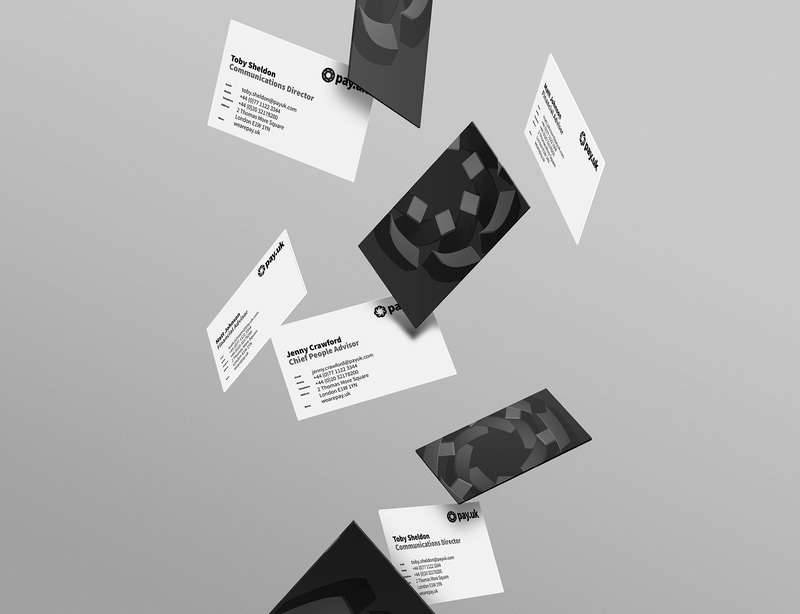 This past October, Pay.UK introduced its new identity, designed by London, UK-based SomeOne, who also conceived the name.